Particle Board Decking: 5/8" heavy duty particle board decking rests inside beams and sits flush with top. Note: Particle board decking requires steel safety supports. Particle board decking makes a great smooth surface for your shelving units. 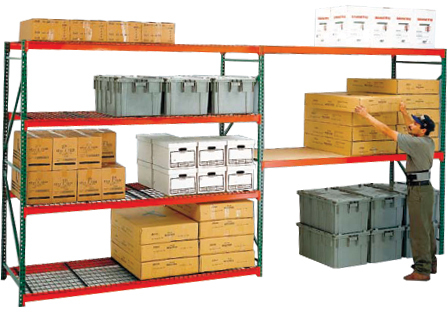 Increase shelf capacity with steel shelving supports.